What could be better than cupcakes, wine and cheese? 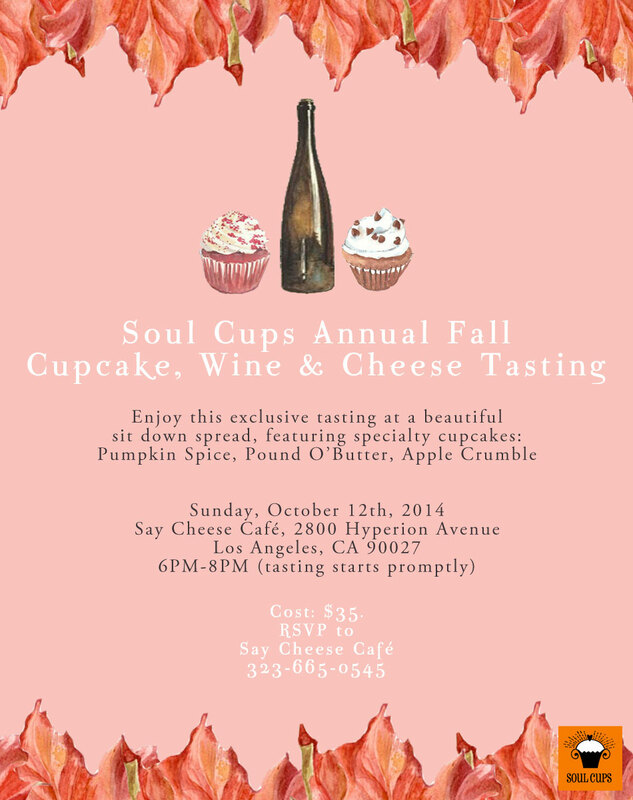 Join us October 12th for a beautiful sit down spread with an exclusive tasting featuring specialty Soul Cups cupcakes at Say Cheese Cafe. And don’t leave empty handed, the Say Cheese Cafe store will be open for shopping after the tasting!